Just size X Small is left in the kids jersey! Riding with your kid is straight up awesome. But riding with your kid in a jersey, or better yet matching jersey to mamma or papa, is straight up awesomeness. Or should we say more awesomer than anything. Yes we know it's not a word, but it's just that awesome. The Orange Mud cycling jersey is designed to tear up the trails or roads while providing amazing comfort and breath-ability. 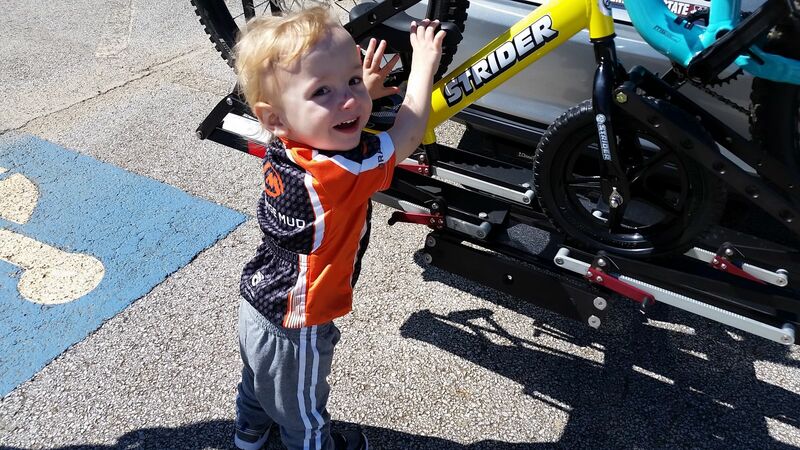 With our Orange Mud jersey they can hold a 21/24 oz bottle or other critical stuff in the rear pockets just like an adult jersey. It's not cheap, sorry, these are the same high quality as our adult jerseys and actually cost the same amount! Lynnette W. Reviewed by Lynnette W.
Although the jerseys I ordered were a lot smaller than I'd imagined, I found some good (and very cute) recipients! The children's XS fits a 2-3 year old.